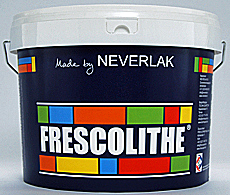 * Water-based exhibition- and scenery paint for interior use. * Bright, highly pigmented, brilliant colours. * Excellent hiding power and colour strength. Totally matt. * Several whites and blacks.